Feed alone would not help better conversion and requires additives to facilitate the digestion and absorption of the feed nutrients to the maximum extent. Some non-therapeutic additives like organic acids, enzymes, probiotics, prebiotics, herbs, essential oils, immuno-stimulants have found themselves in the feed milling operation and found to be effective in rearing of animals. 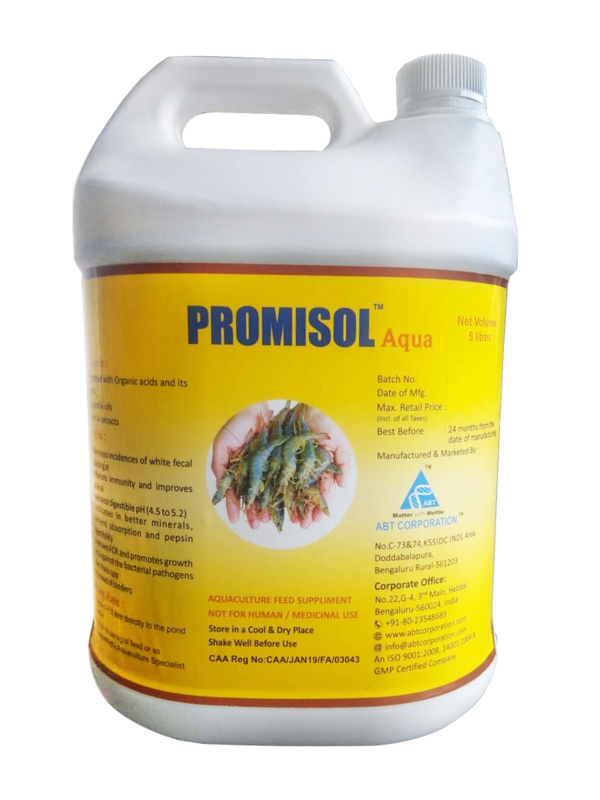 Promisol Aqua is a unique blend of and essential oils, organic acids and its salts fortified with herbal extracts. The product ensures improved performance of fish and shrimps by facilitating proper digestion and better nutrient absorption. Acts against the bacterial pathogens like Vibrio spp.